The Alexa skill voice command means DriveNow users with an Amazon Echo or Echo Dot can reserve nearby cars using voice command. Customers using BMW and Sixt’s DriveNow car-sharing service can now reserve vehicles via a simple voice command using Amazon’s Alexa. Thanks to the launch of a free new Alexa skill voice command, DriveNow users with an Amazon Echo or Echo Dot can reserve vehicles nearby using voice command as well as receive details of their car and the reservation time. DriveNow also has plans to extend the skill to offer more features, although no details have been revealed yet. Masternaut’s new M300 solution can be mounted to the vehicle’s windscreen and ready to use “within minutes”. Masternaut has launched a new device that enables fleets running short-term hire vehicles to access the benefits of telematics. The M300 device is designed for simple installation and can be mounted to the vehicle’s windscreen and ready to use within minutes. It’s also powered by a built-in battery, enabling it to be removed and reinstalled in any vehicle without the need for an engineer. 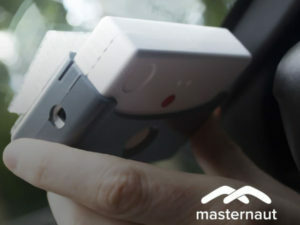 Data feeds from the device will appear in the Masternaut Connect fleet management application, along with other vehicles using permanently installed telematics. 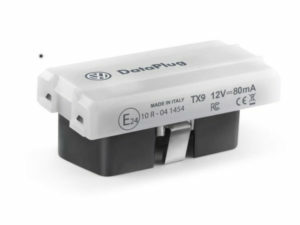 The Dataplug that can be retrofitted at dealers in a matter of minutes. Volkswagen has launched a new Connect solution that brings a number of telematics services for cars built after 2007. The service can be accessed through a Dataplug that can be retrofitted at dealers in a matter of minutes, according to the carmaker, and the Volkswagen Connect app. Telematics services on offer include a fuel monitor and driver behaviour analysis including an optional gamification element. Meanwhile the service partner facility can automatically alter drivers when a service is due and arrange for the dealer to phone to arrange an appointment. Other features include assistance call, a parking location facility and trip function. The plugs are available free of charge until the end of the year and can be switched to other compatible Volkswagens. Tusker has installed six chargers from Rolec at its Watford headquarters. 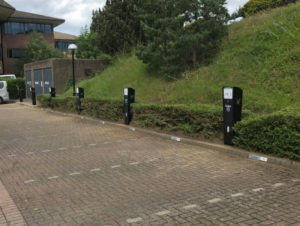 Tusker has installed six Rolec AutoCharge EV chargers at its offices in Watford, Hertfordshire, to power electric cars driven by its staff, including all of the directors. The firm currently has a fleet of 46 company cars, including 24 ULEVs in line with the company’s policy of encouraging all staff who are eligible for a company car to opt for a ULEV. Each of the AutoCharge pedestals are equipped with Rolec’s EV Charge Online pay-to-charge system, enabling EV drivers to use their mobile phone to pay to charge using Visa, Mastercard, American Express or PayPal. Sarah-Jayne Williams, Ford’s director for Smart Mobility in Europe. 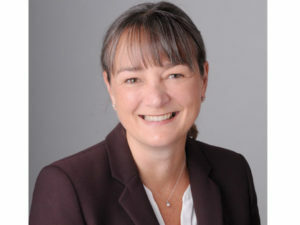 Ford has named Sarah-Jayne Williams as its first director for Smart Mobility in Europe. Effective from September, Ms Williams will focus on future mobility solutions for Europe, and will work out of the new Ford Smart Mobility Innovation Office in London. The role will see her work with work closely with European city planners, public transport agencies and communities to create new solutions. This autumn will see Ford work with London-based fleets to trial 20 new Transit PHEVs prior to the vehicle going into production in 2019 while the carmaker is also looking into shared services such as ridesharing. 8% of Days Fleet’s own company cars are classed as ULEVs – exceeding the Go Ultra Low Company requirement for companies to have a commitment for 5%. 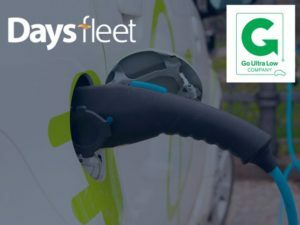 Days Fleet has gained ‘Go Ultra Low Company’ status in recognition of its use of plug-in cars within its company fleet and its commitment to boost uptake of plug-in vehicles over the coming years. 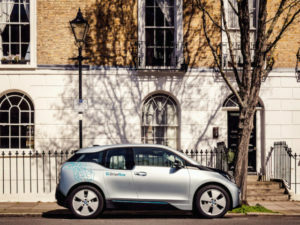 A total of 8% of the leasing and fleet management firm’s internal fleet are classed as ultra low emission vehicles – exceeding the scheme’s requirement for companies to already be running a number of EVs and to have a commitment for 5% or more of its vehicle fleet to be electric or plug-in vehicles.